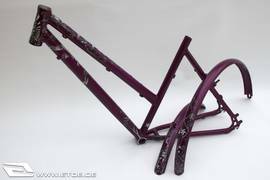 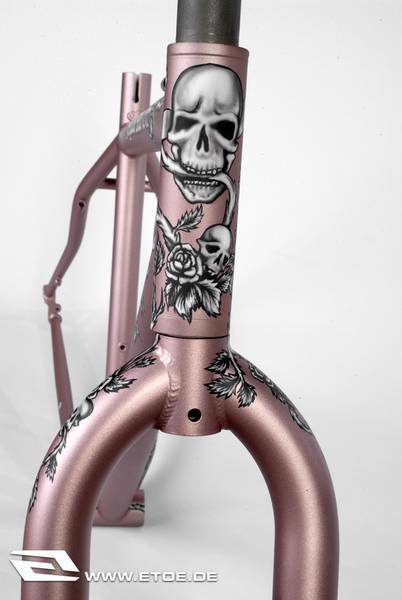 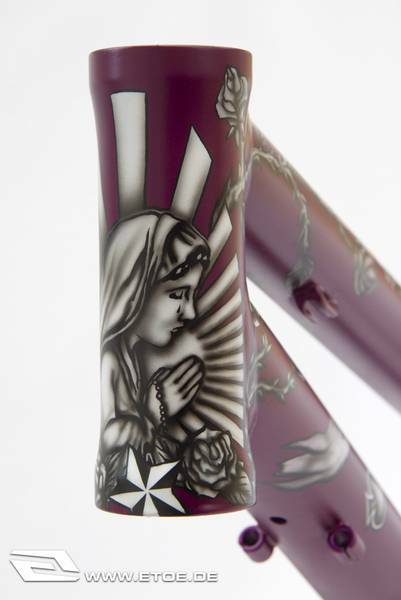 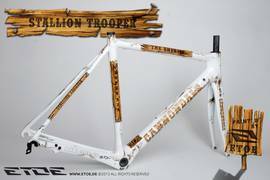 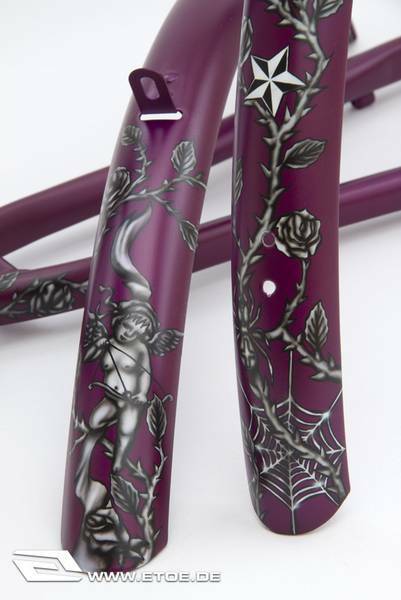 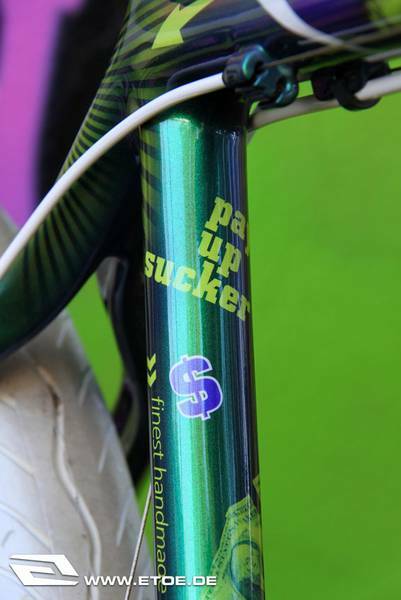 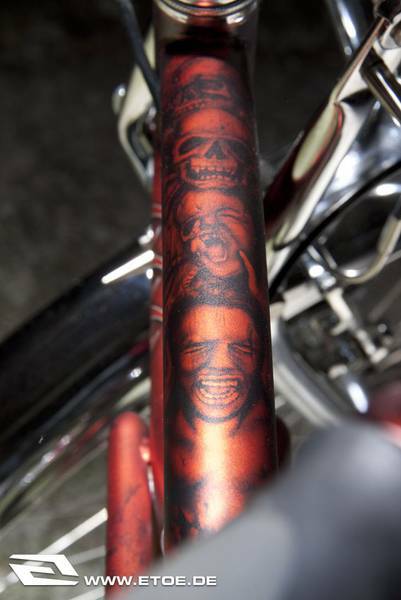 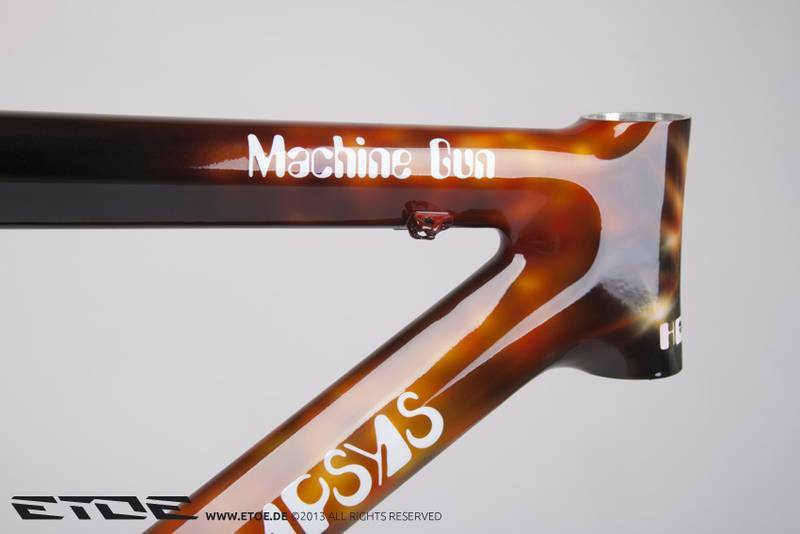 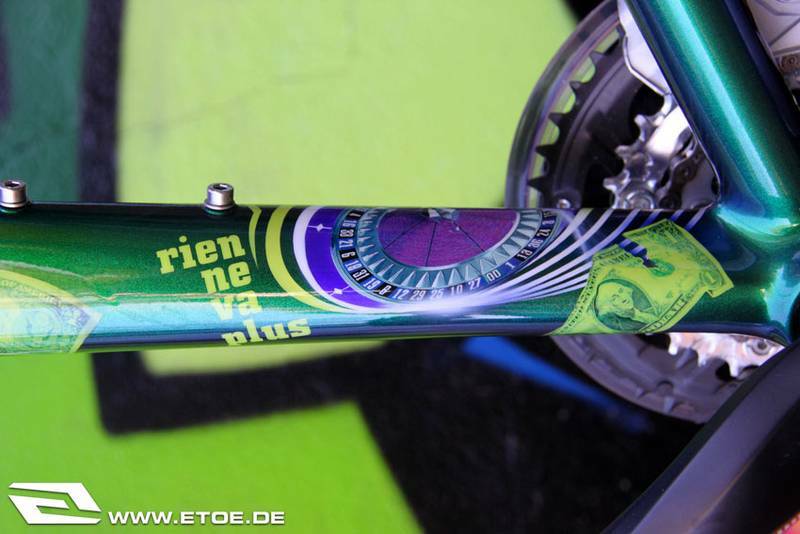 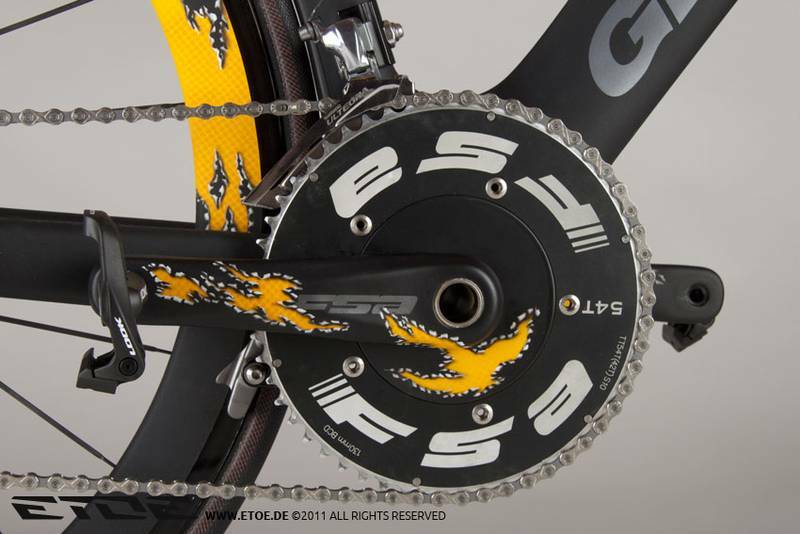 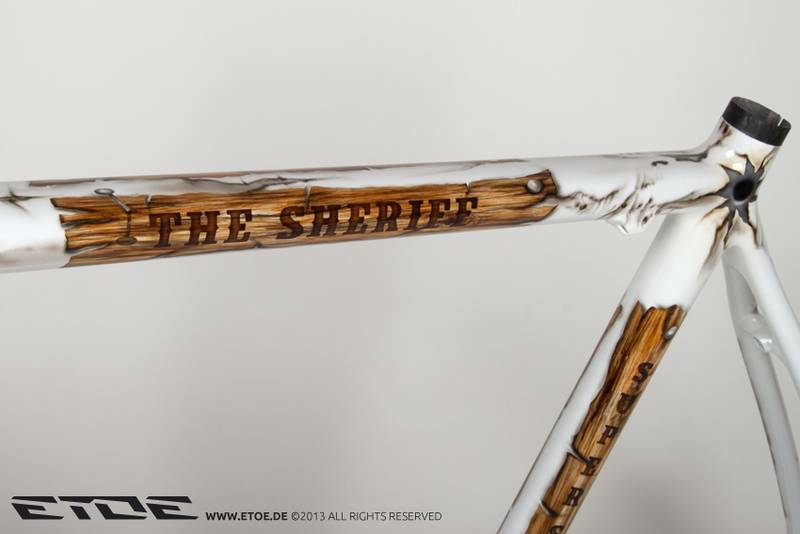 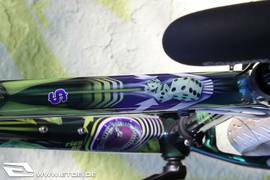 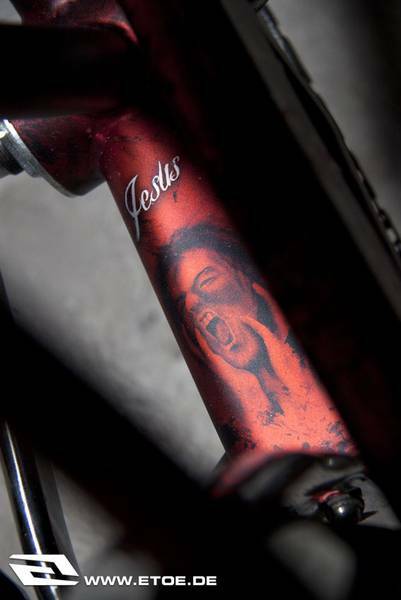 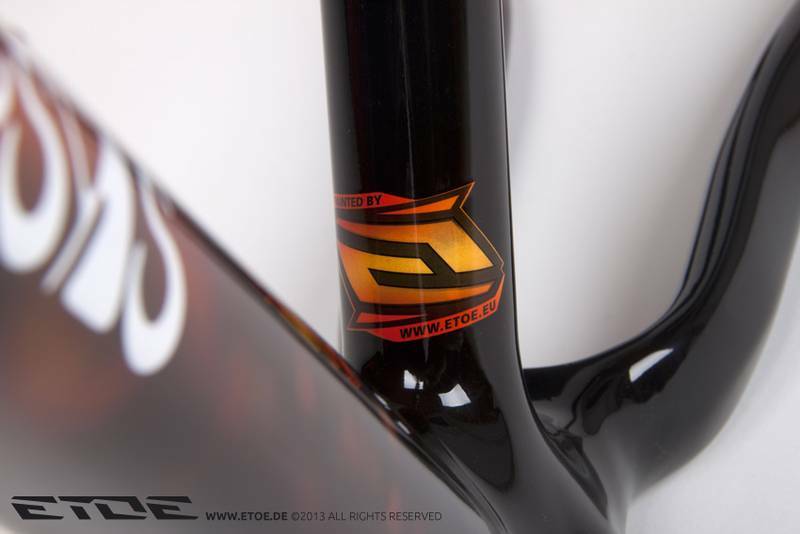 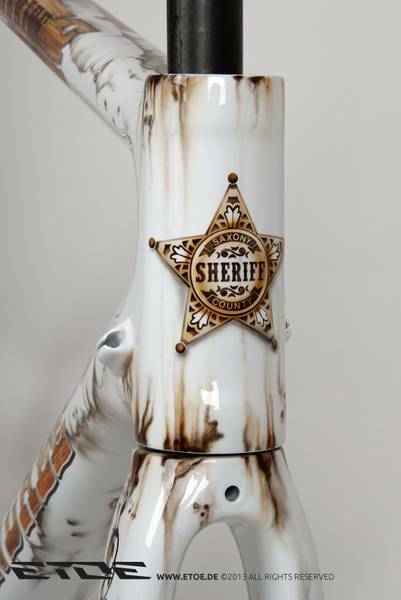 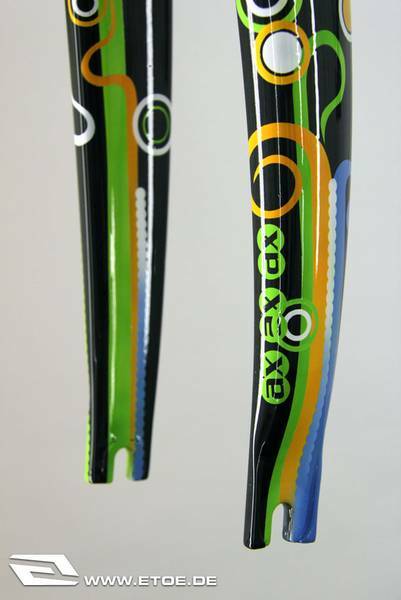 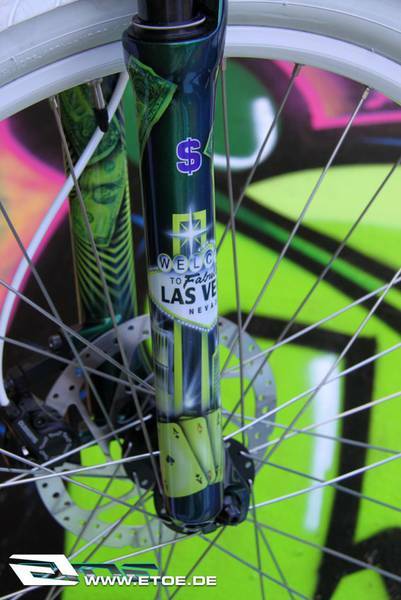 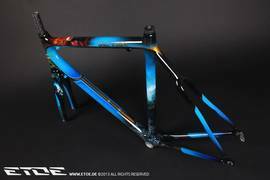 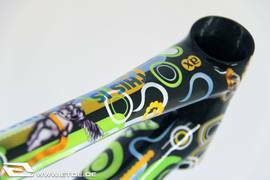 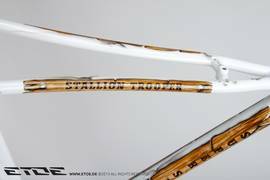 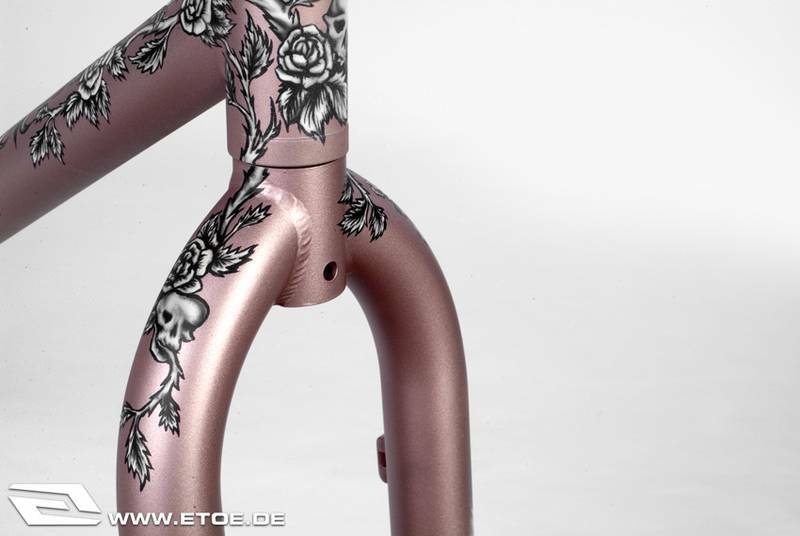 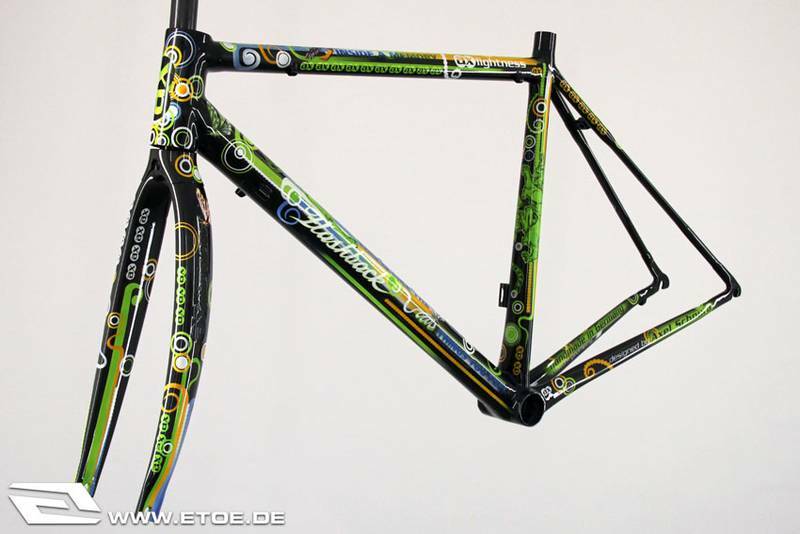 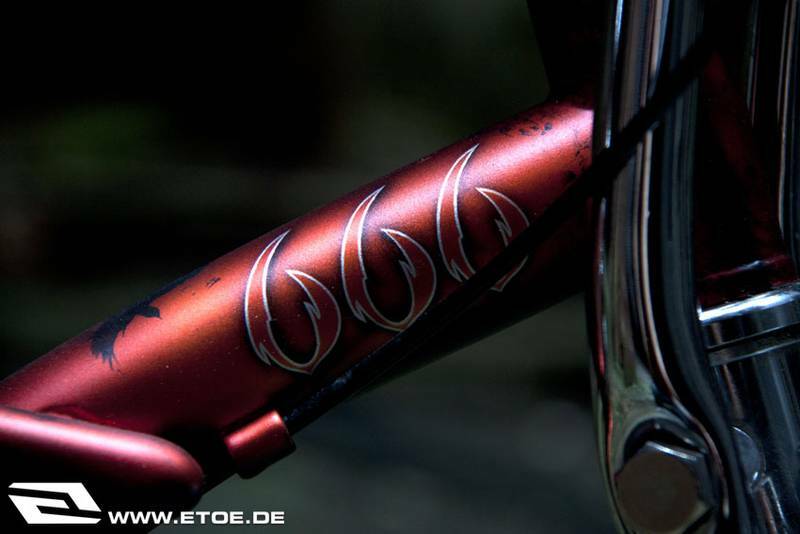 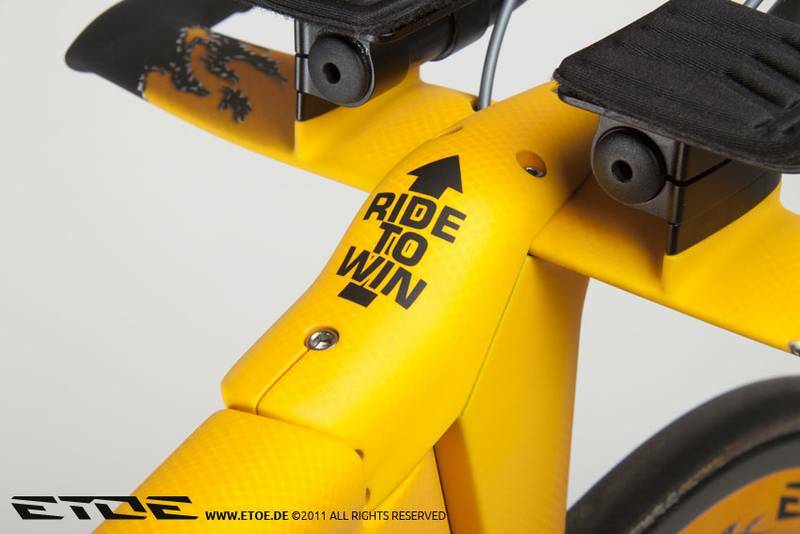 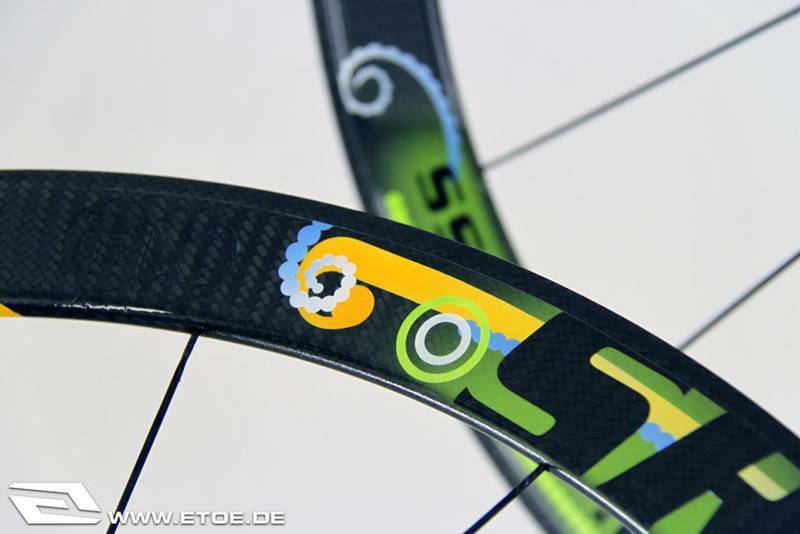 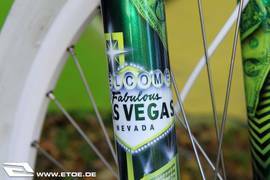 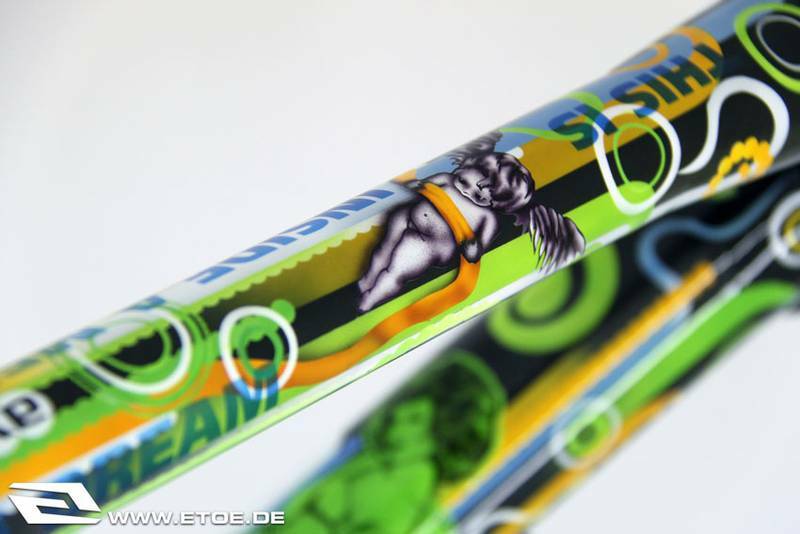 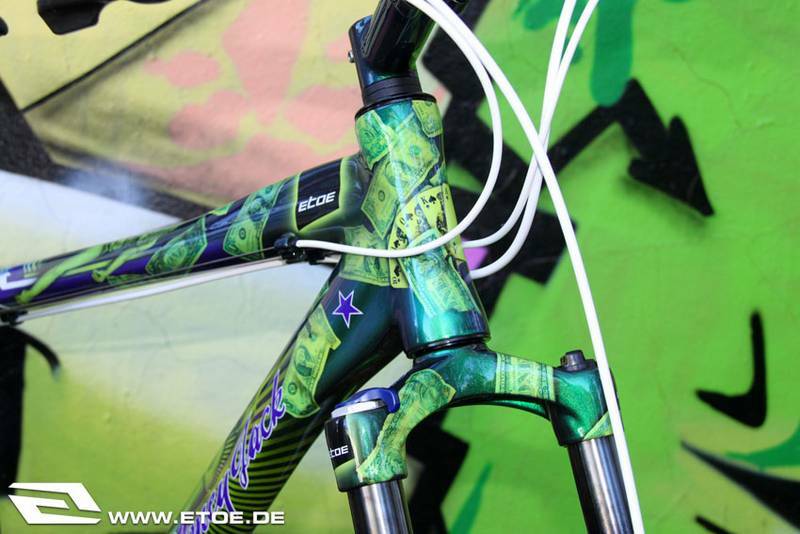 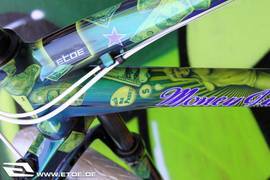 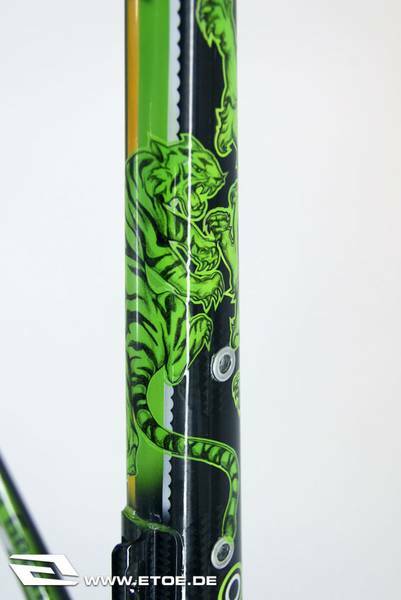 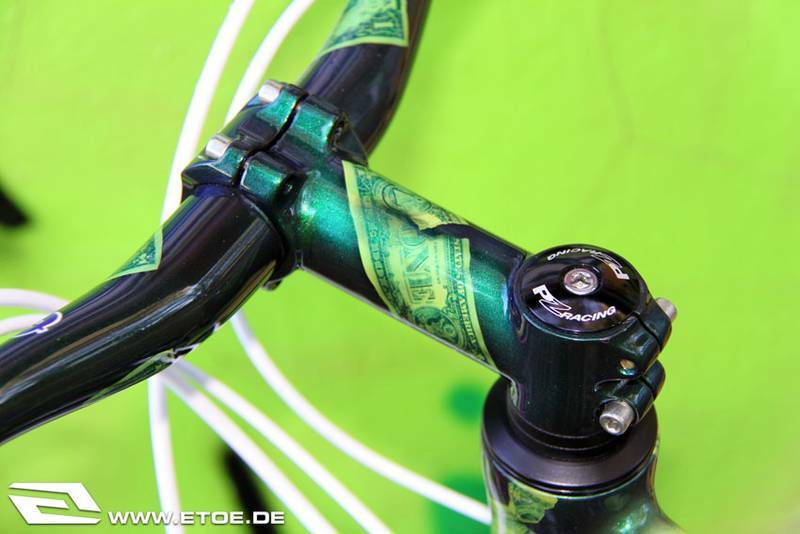 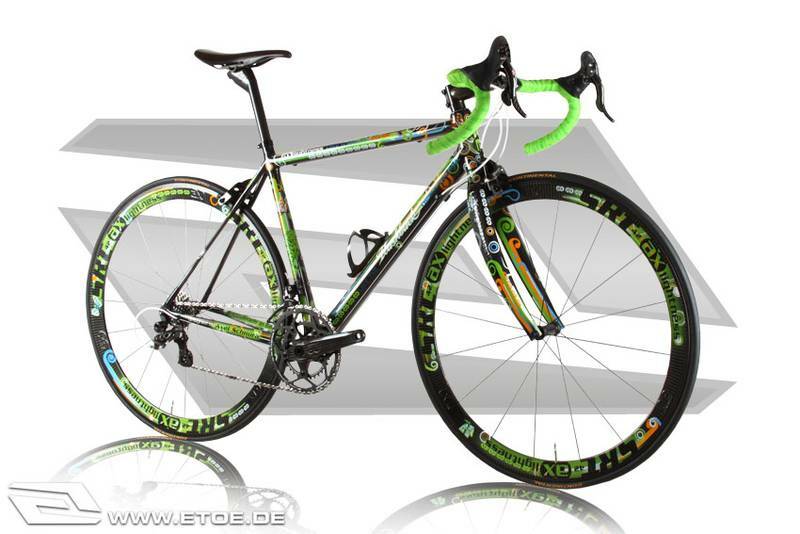 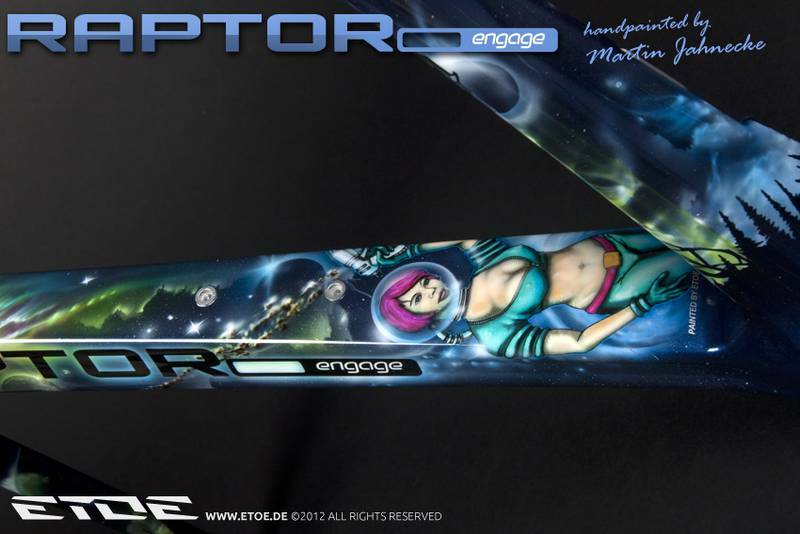 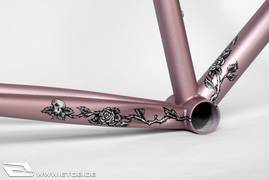 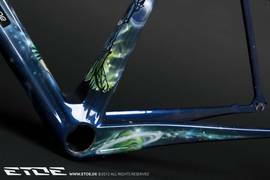 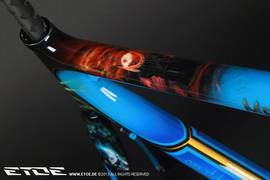 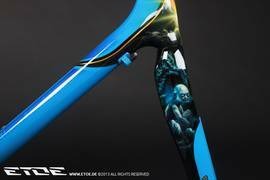 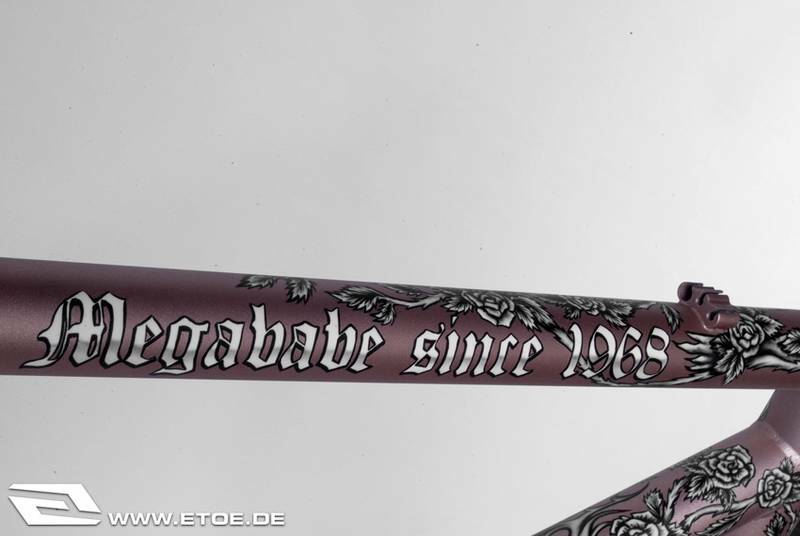 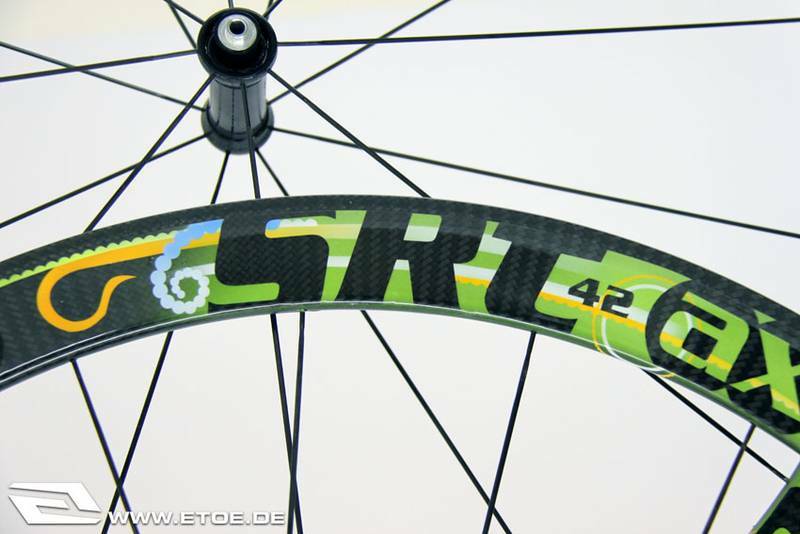 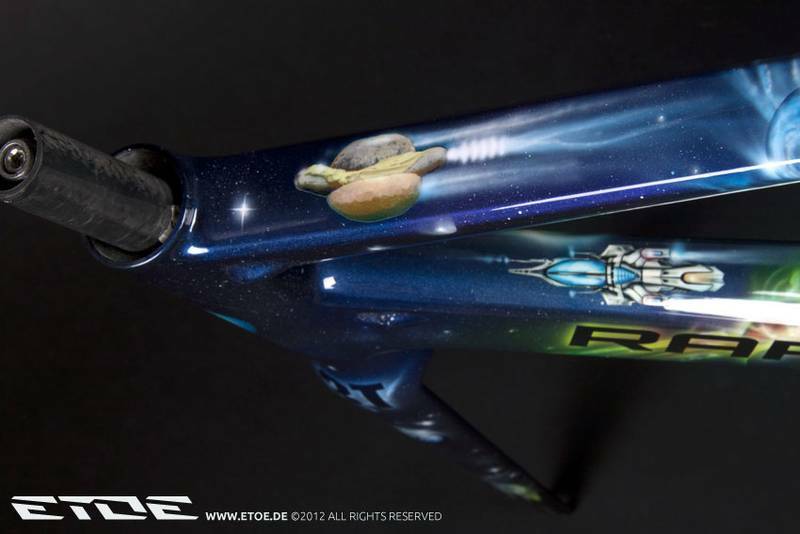 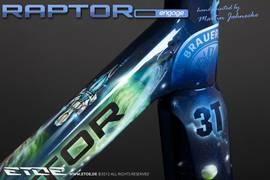 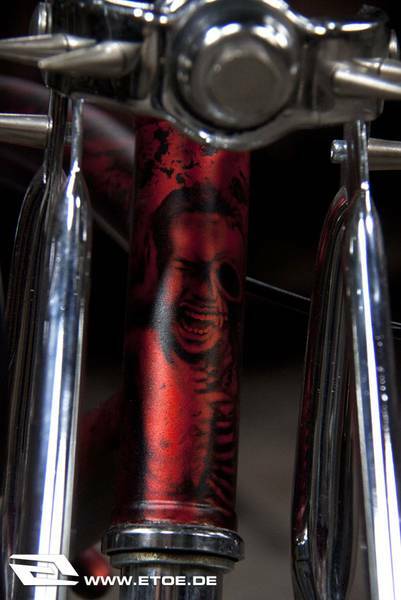 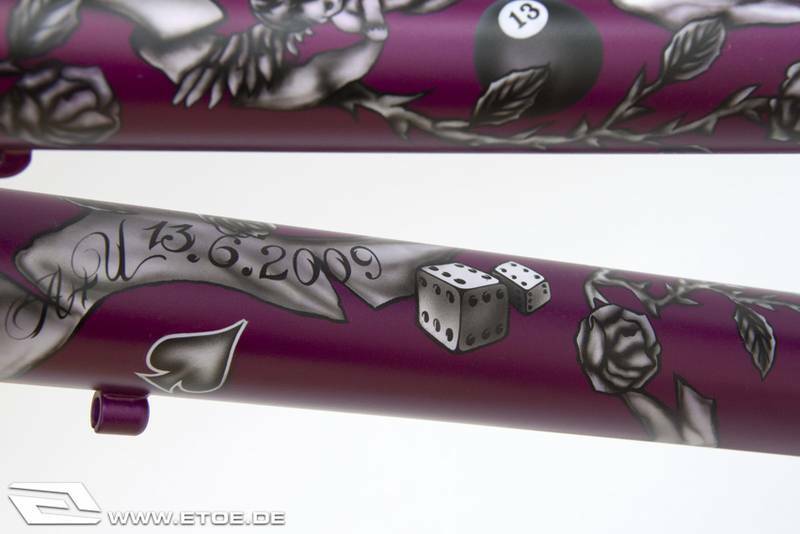 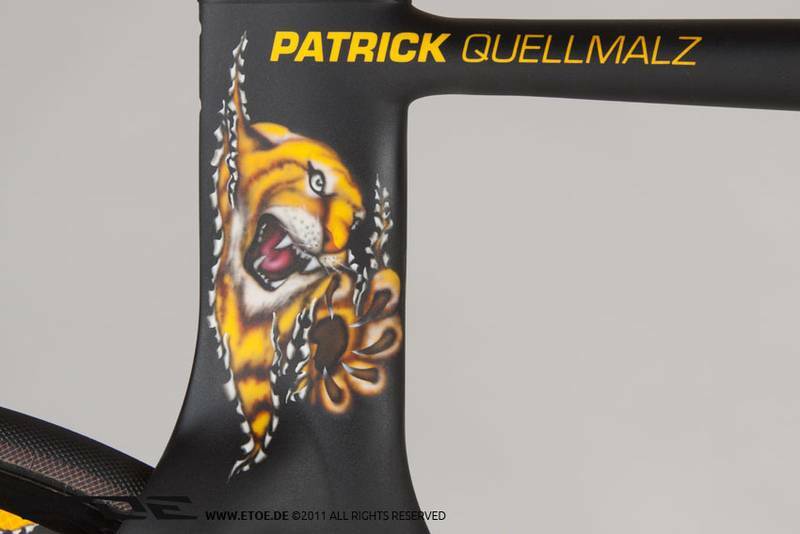 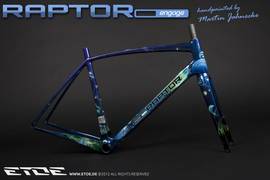 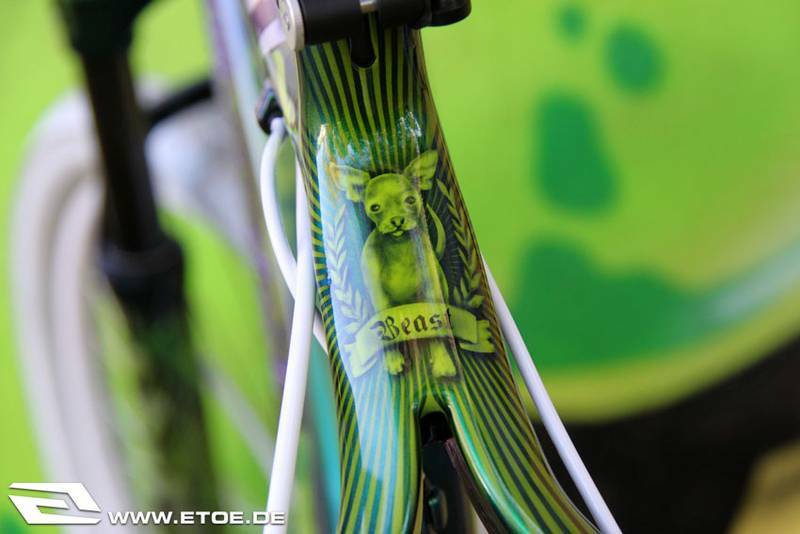 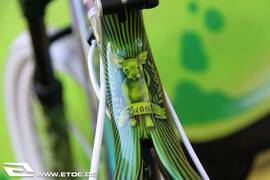 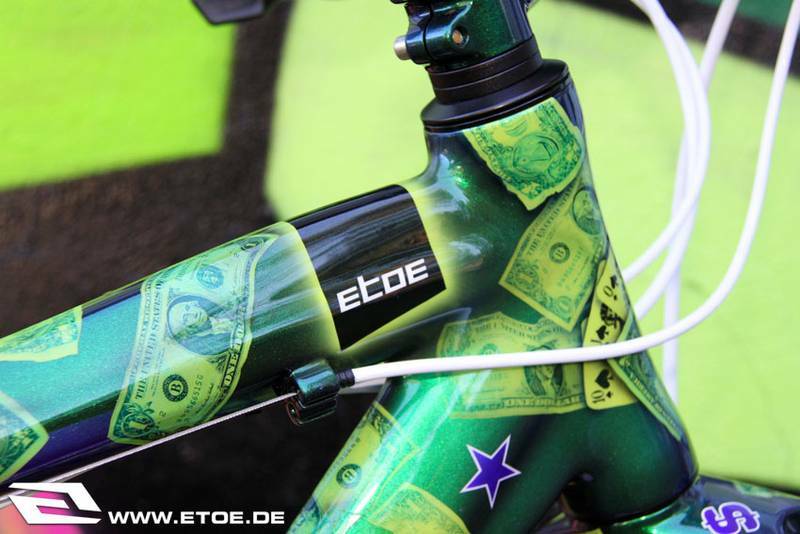 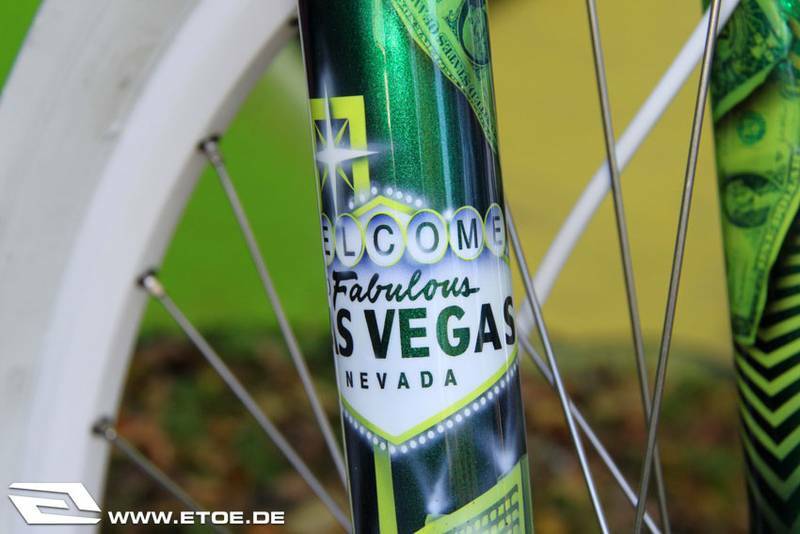 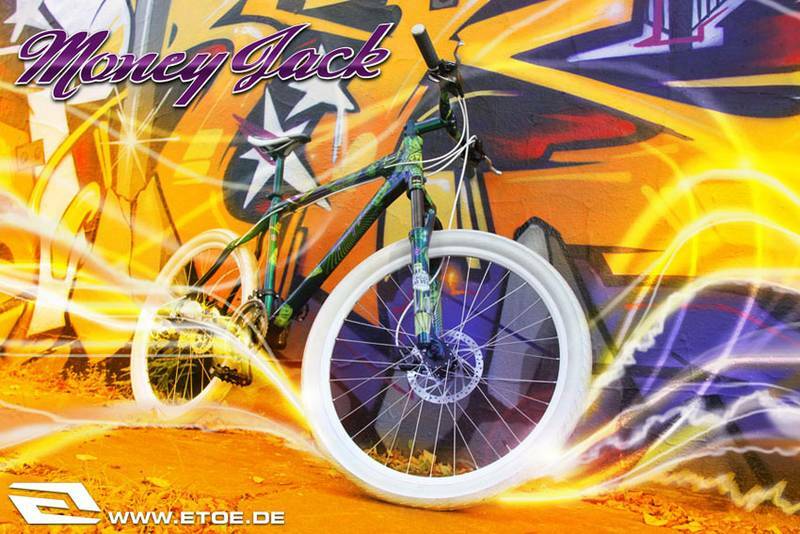 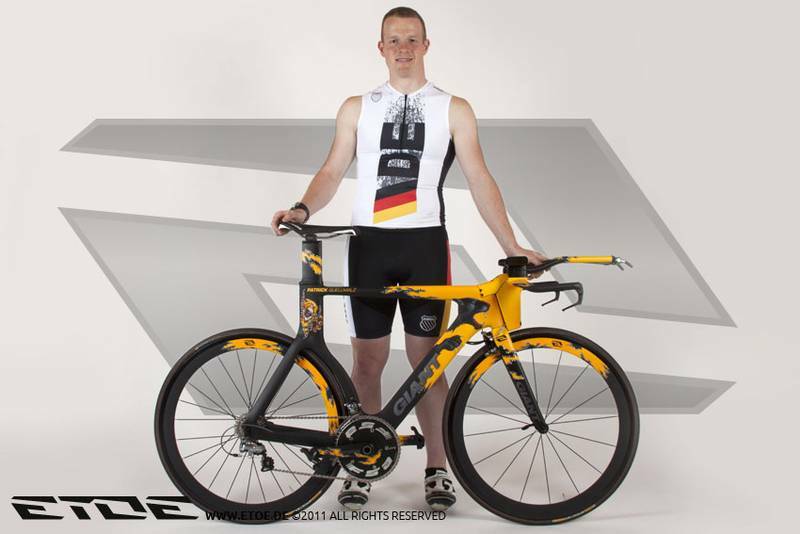 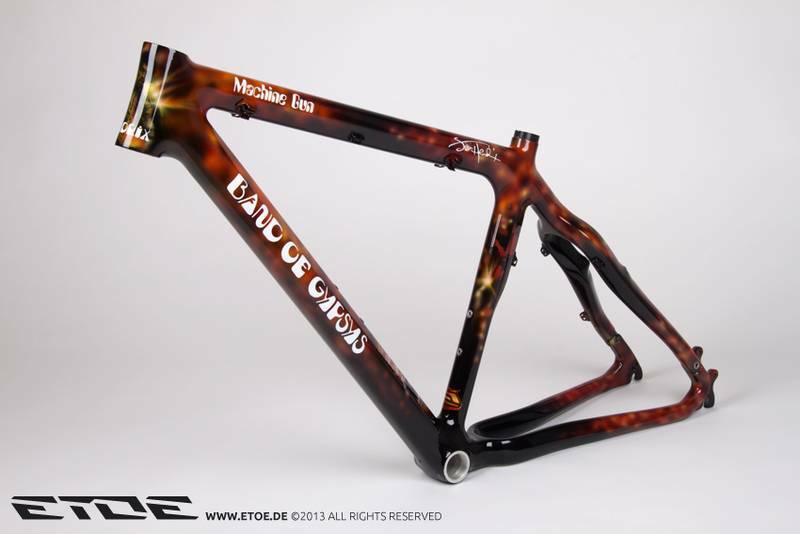 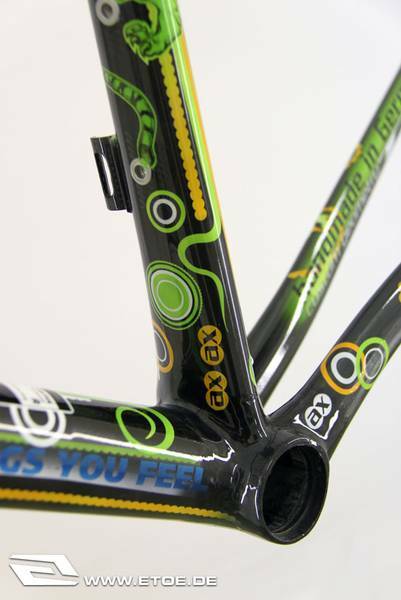 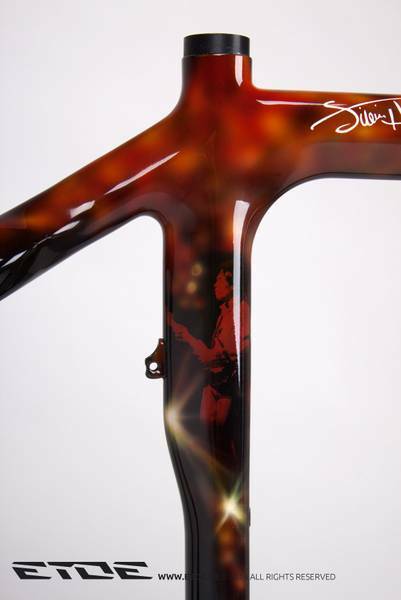 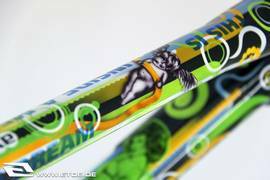 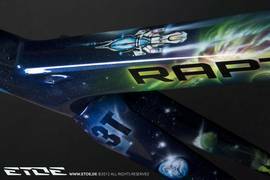 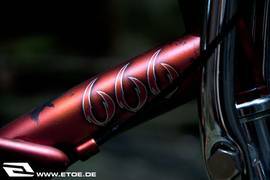 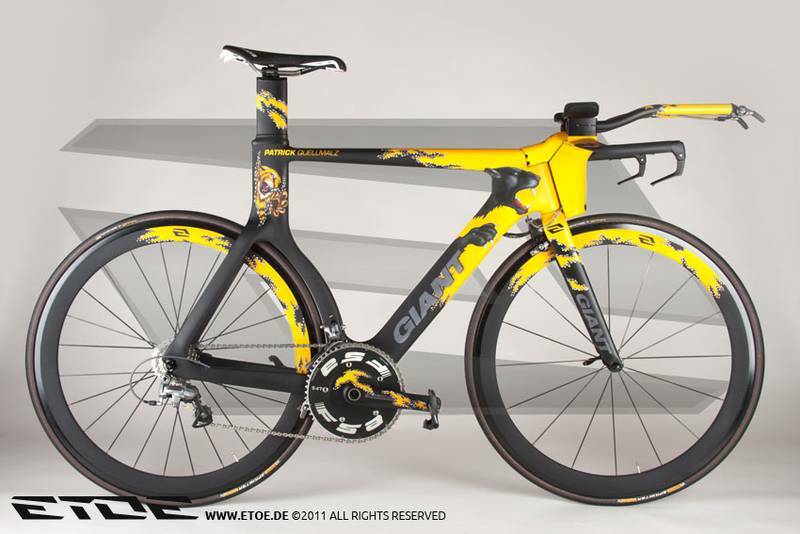 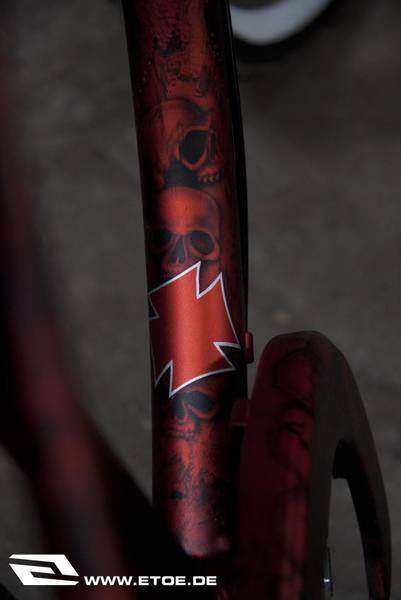 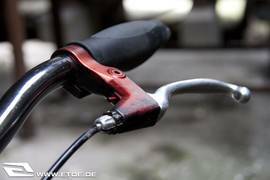 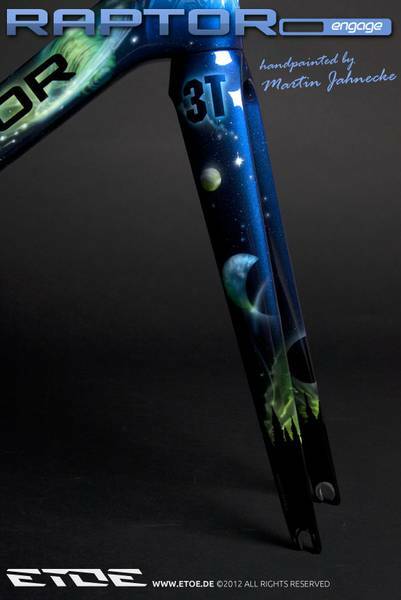 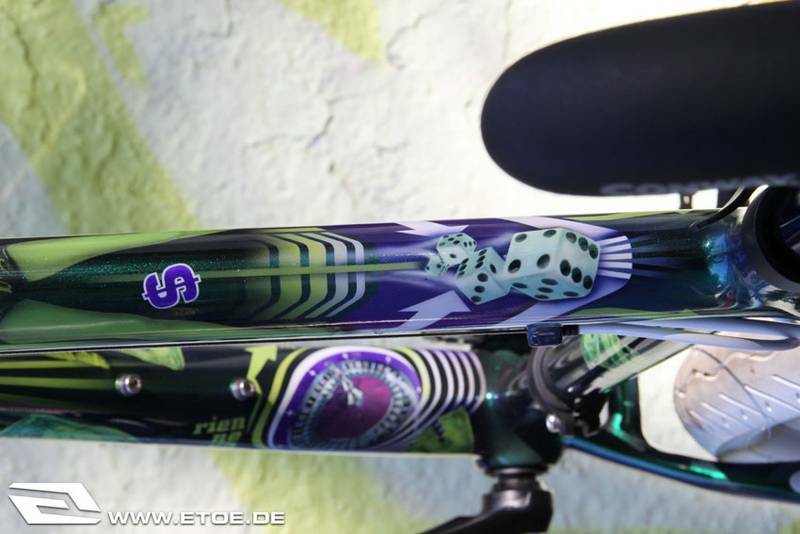 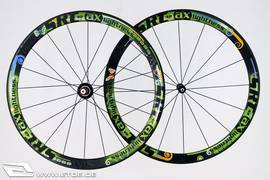 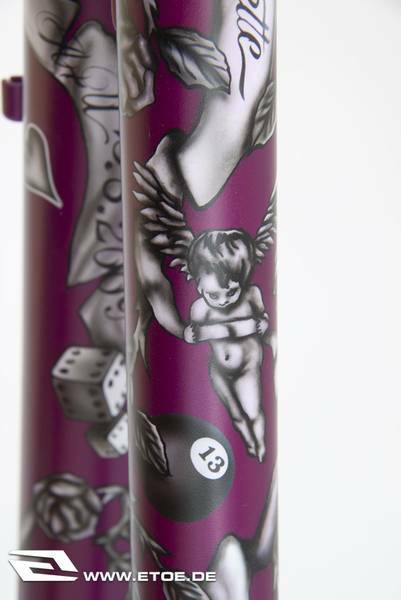 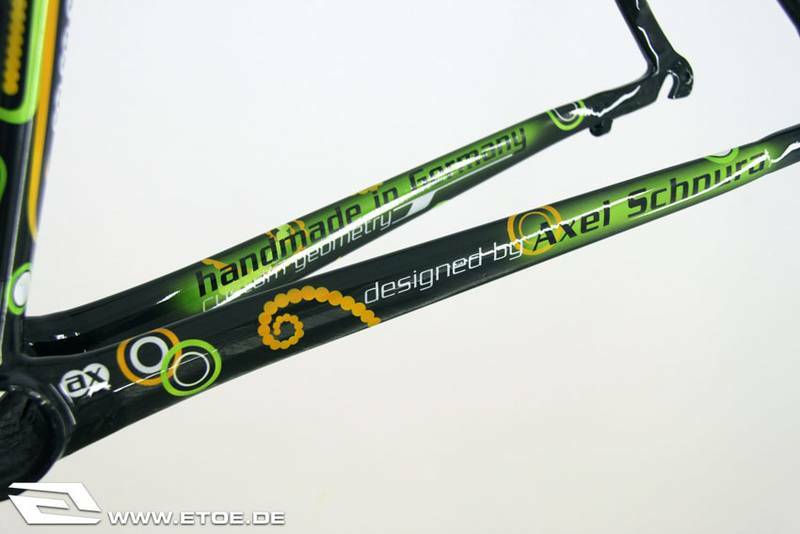 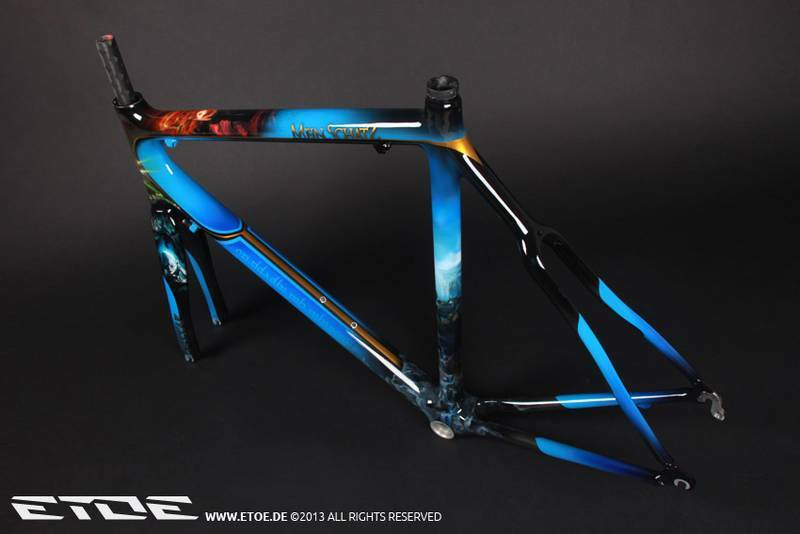 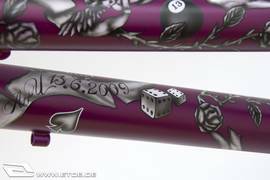 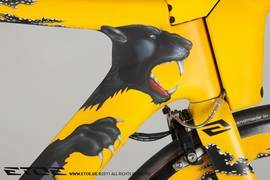 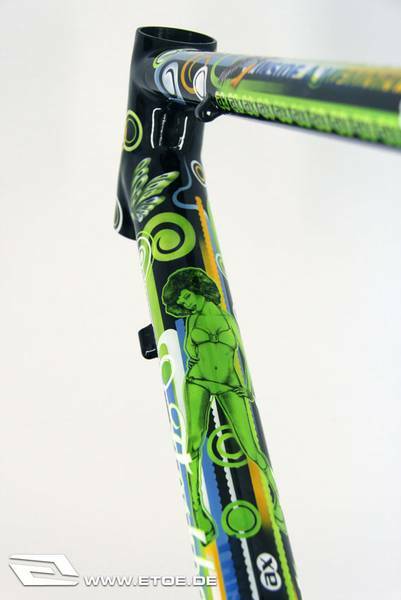 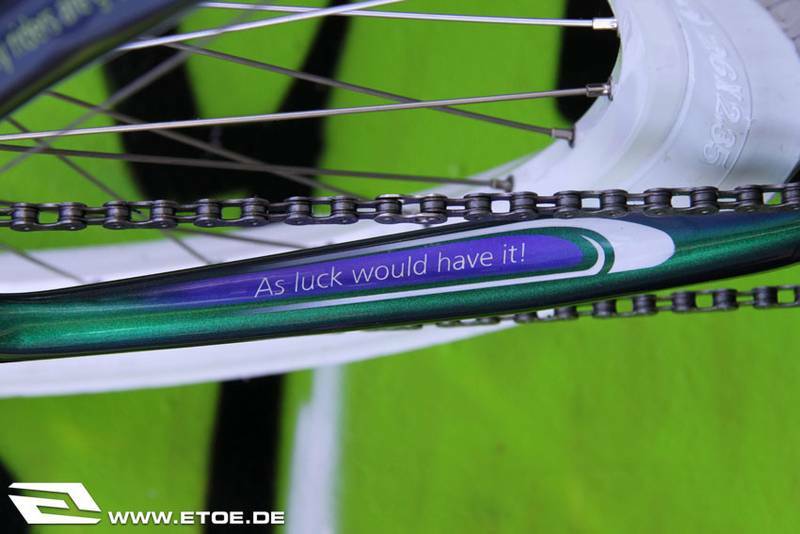 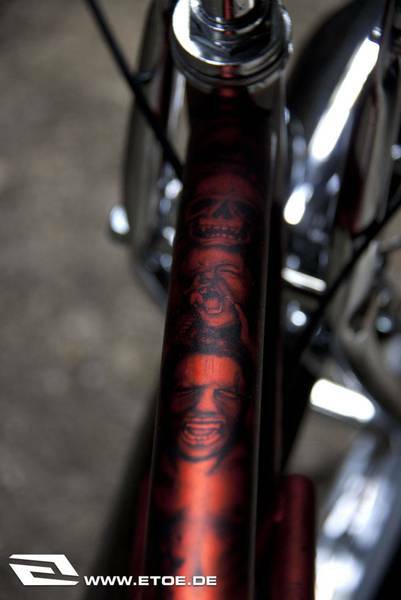 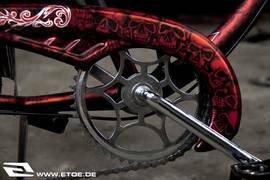 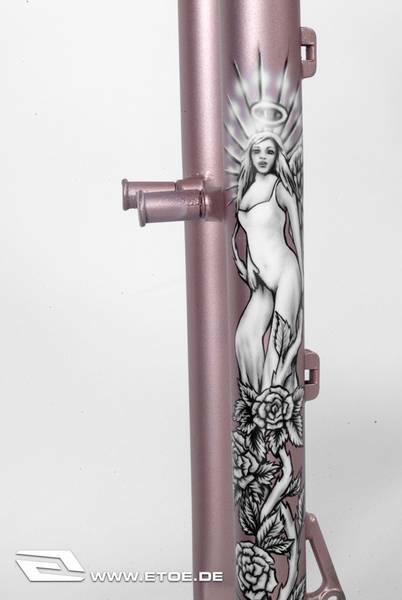 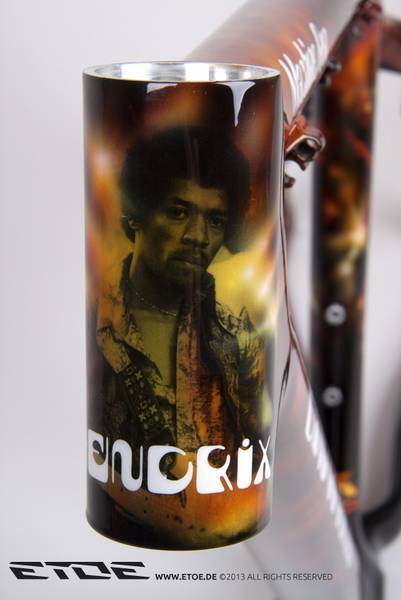 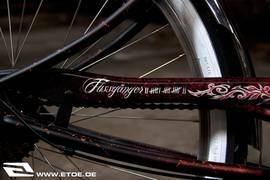 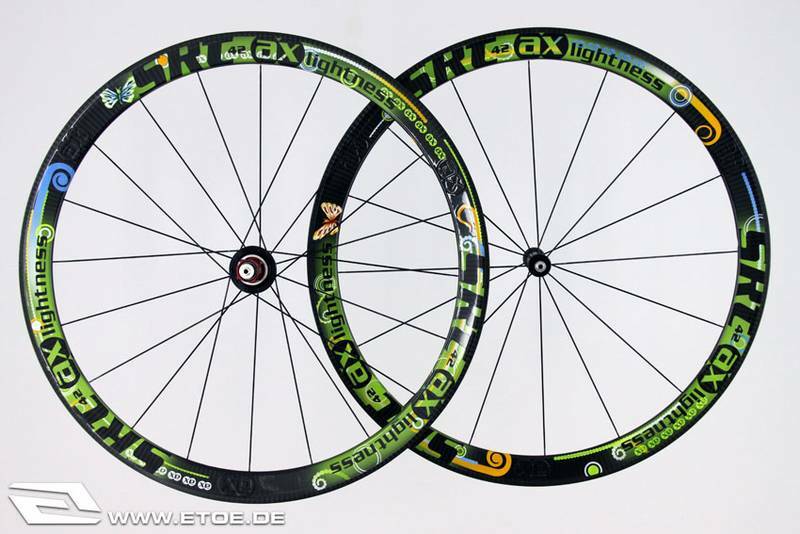 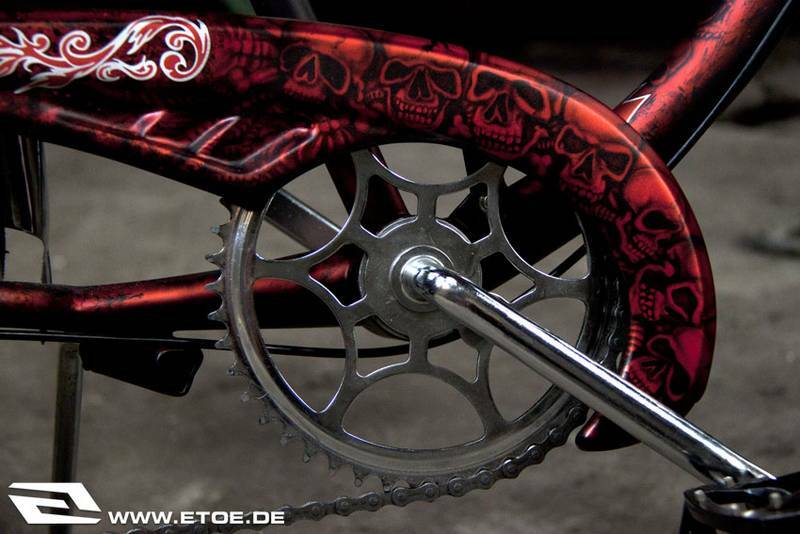 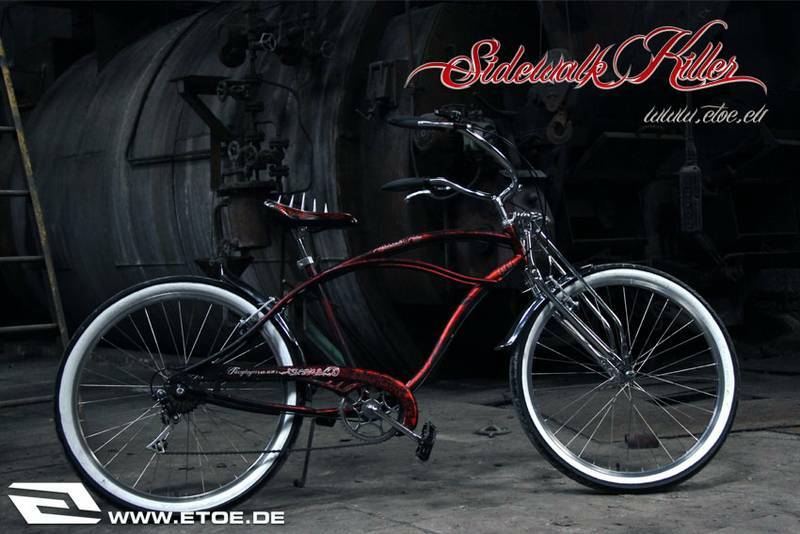 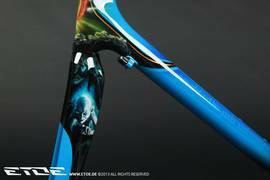 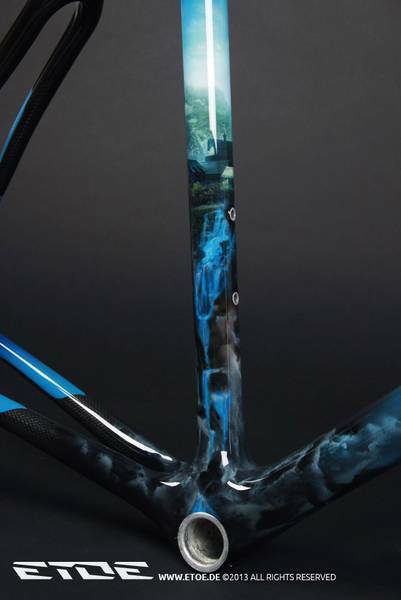 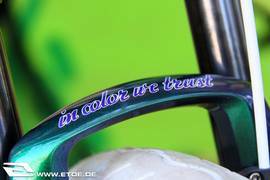 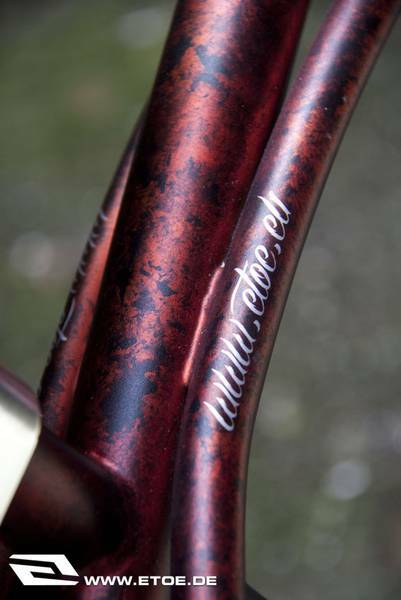 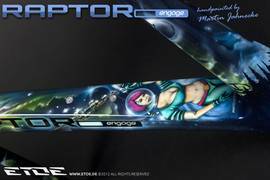 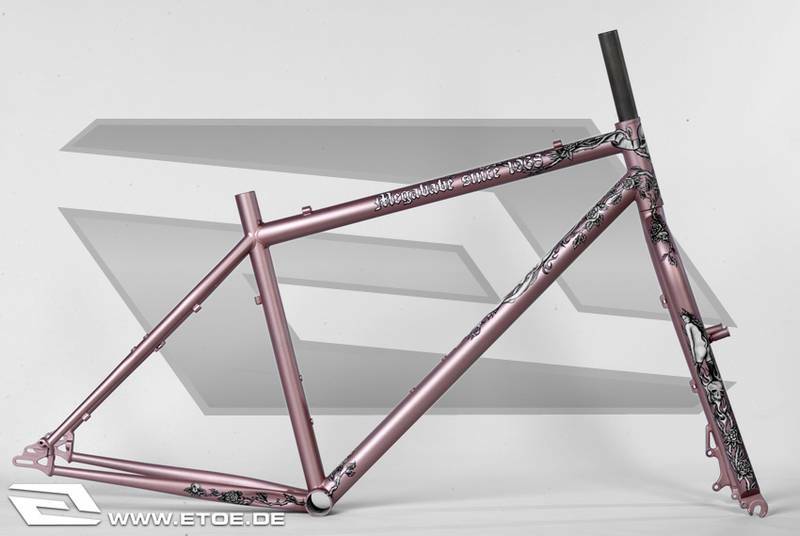 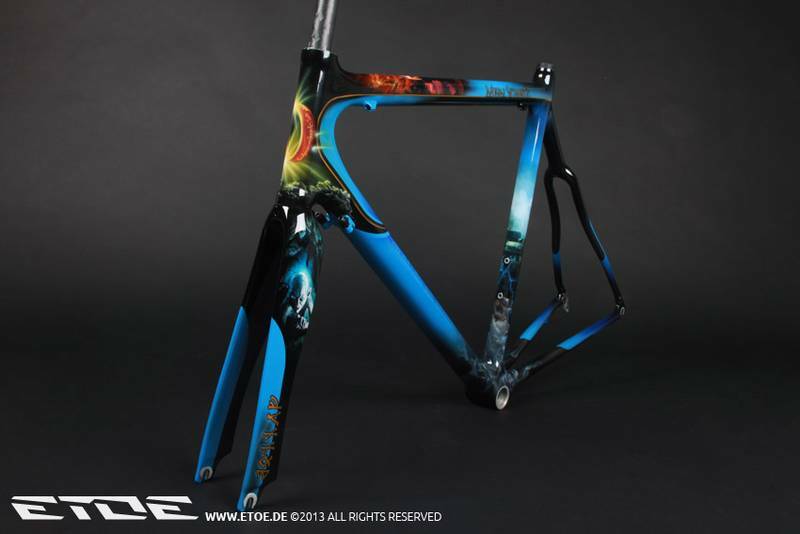 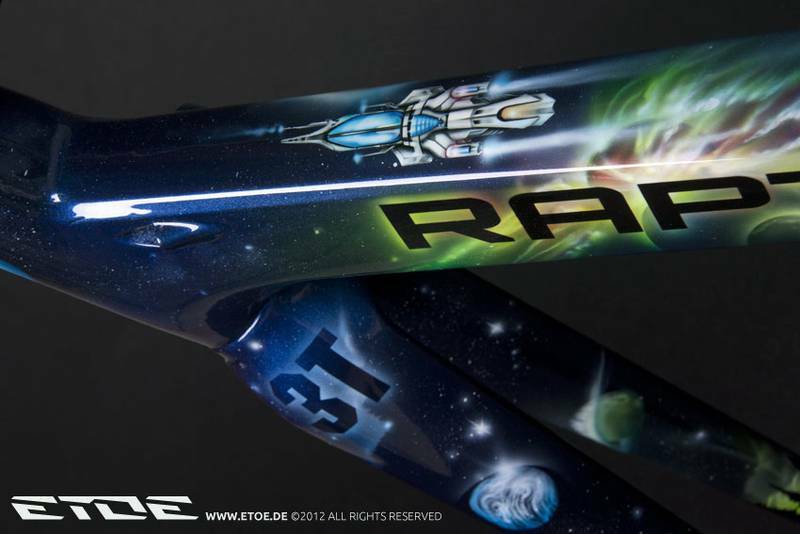 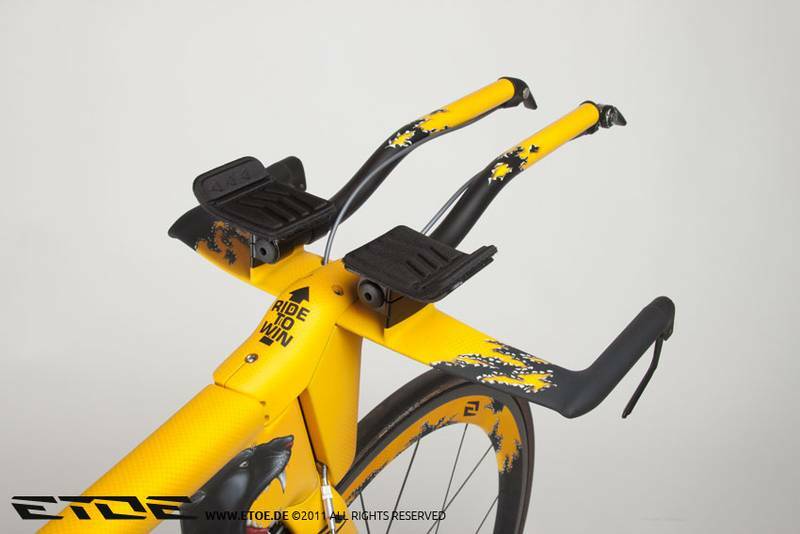 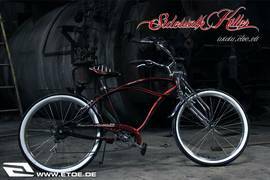 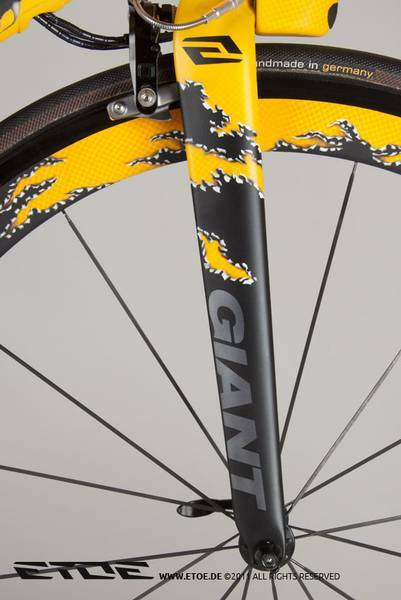 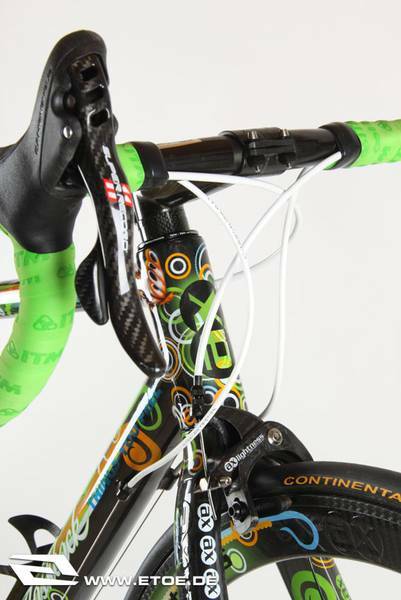 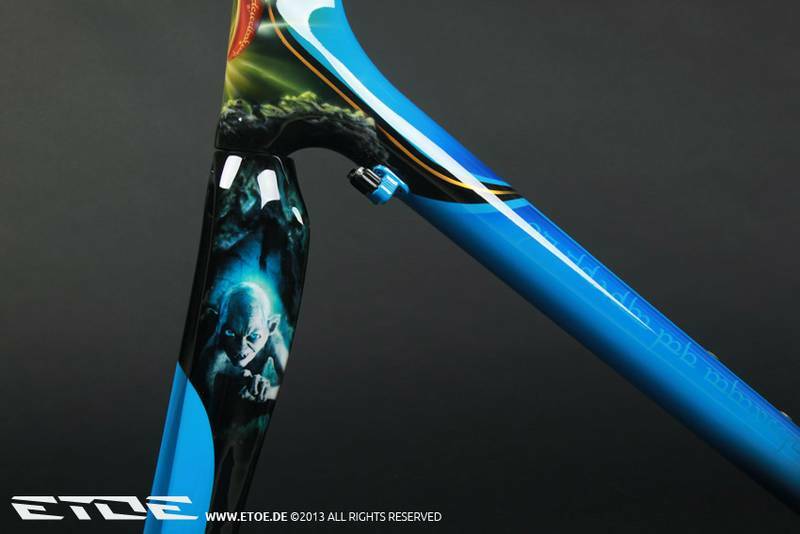 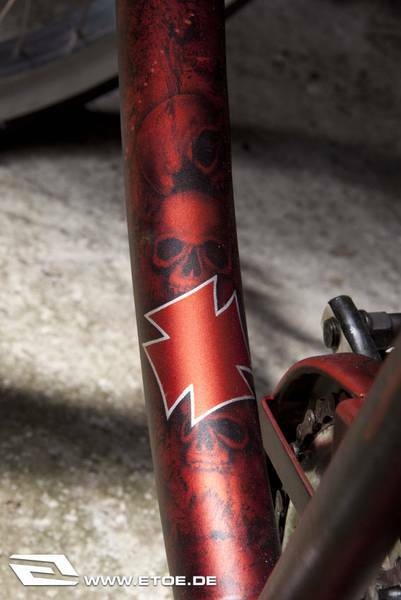 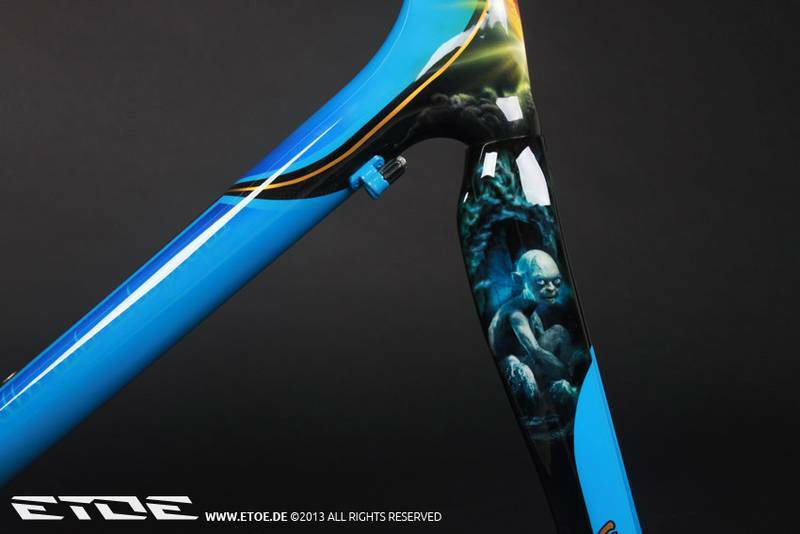 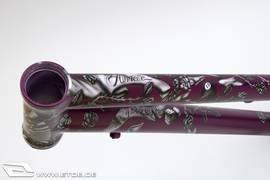 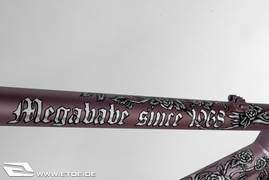 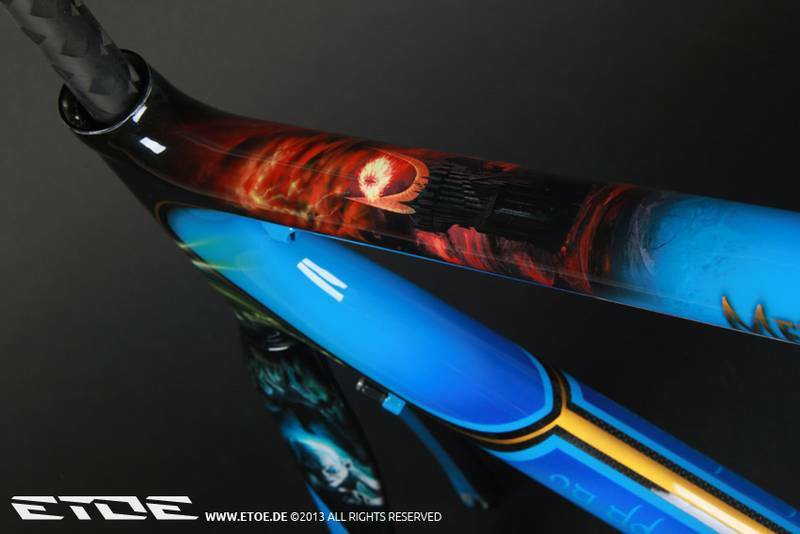 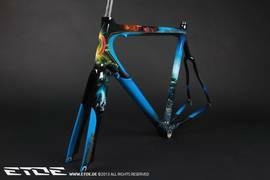 The ETOE theme bikes are hand-painted masterpieces. The appearance of the frames is enhanced by designer Martin Jahnecke who dedicates up to 200 hours of craftsmanship for one frame set. 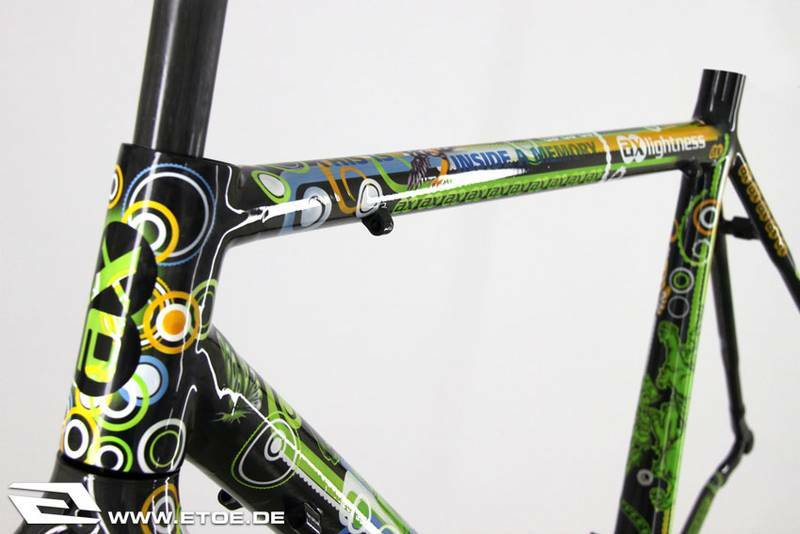 All design elements are painted by hand directly on the frame. 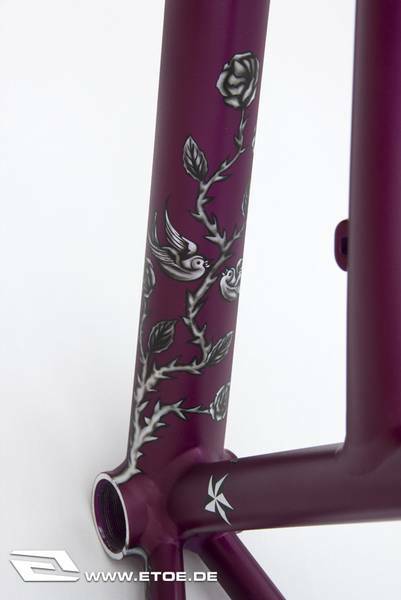 Precision, care, patience and time are essential. 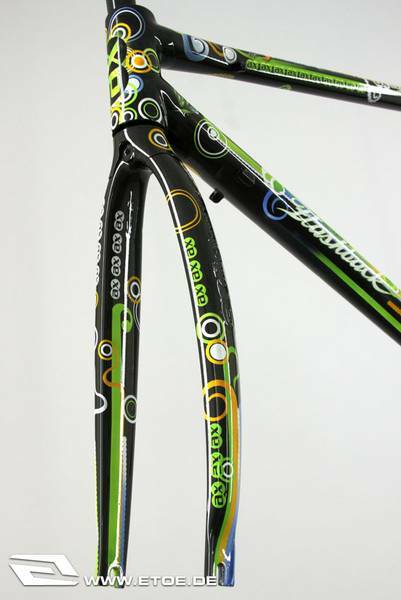 Before we can work on the frame, the design will be created and matched to the frame geometry. 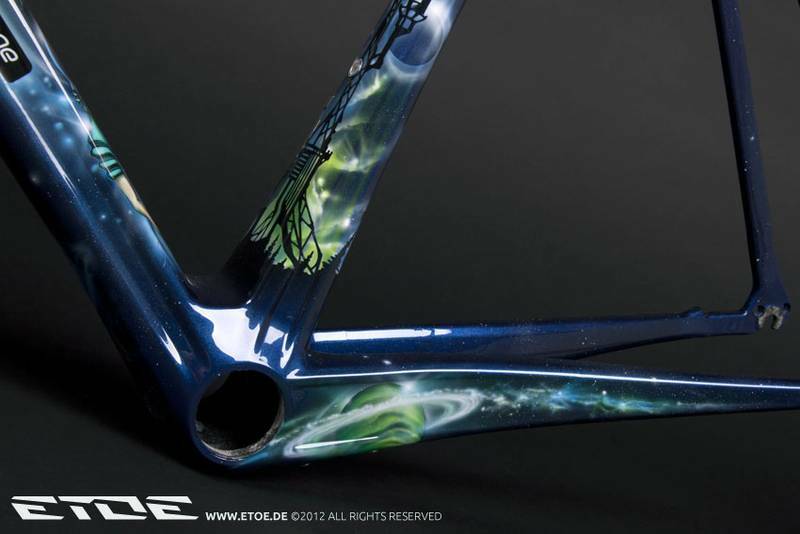 After two or three days of preparation the frame will be transformed into a true masterpiece through one to three weeks of craftsmanship. 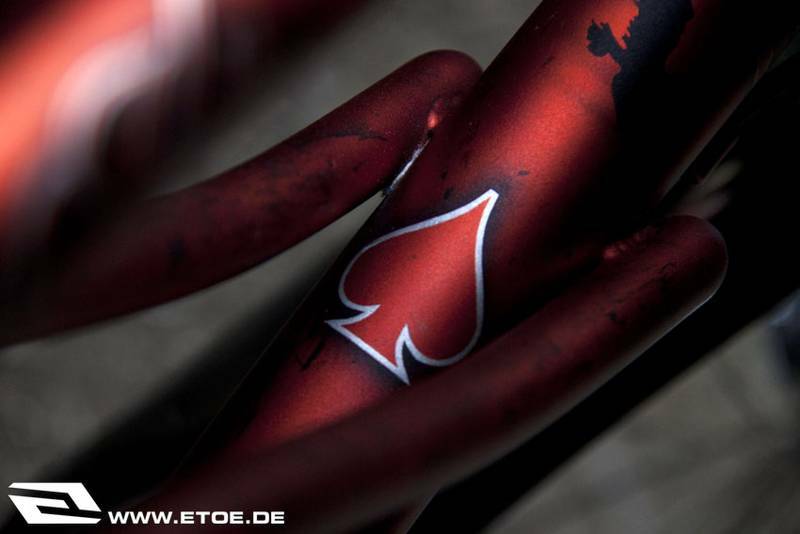 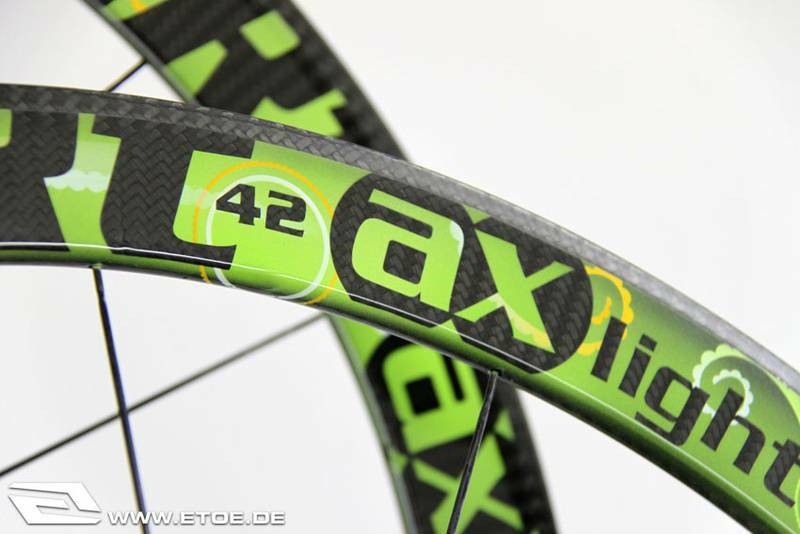 Each bike is one of a kind. 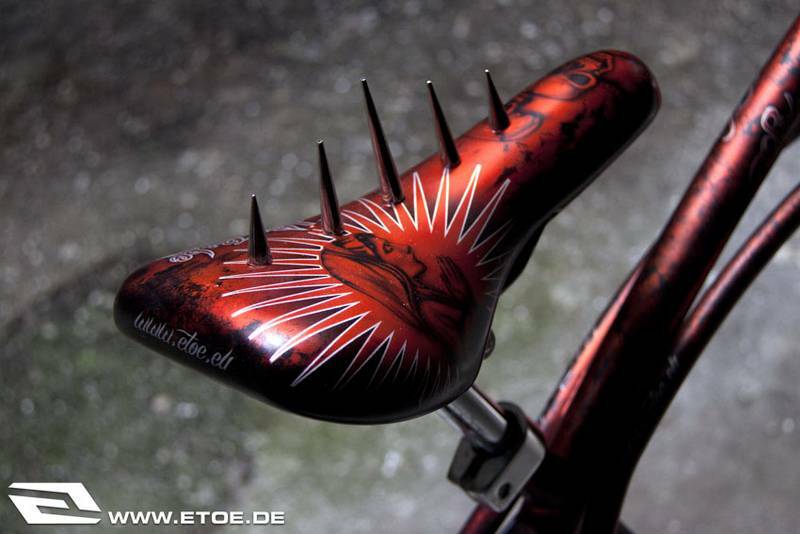 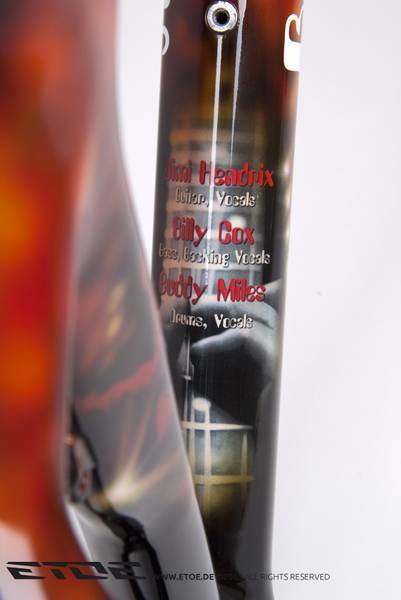 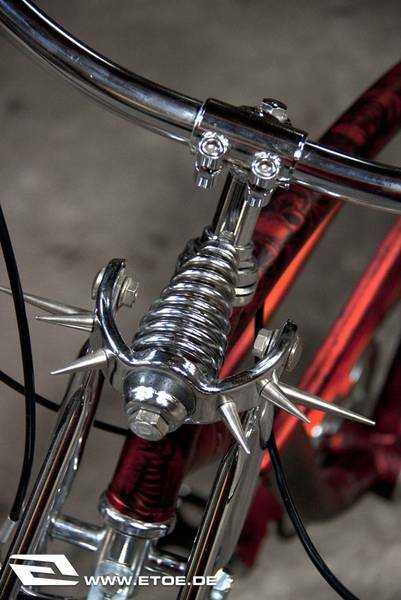 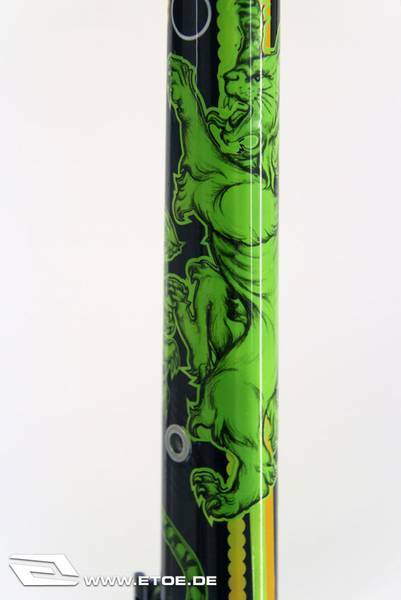 SIDEWALK KILLER Dyno Customframe | GFK-Killer saddle | Killer spikes | 5-layer glaze varnish | for sale!